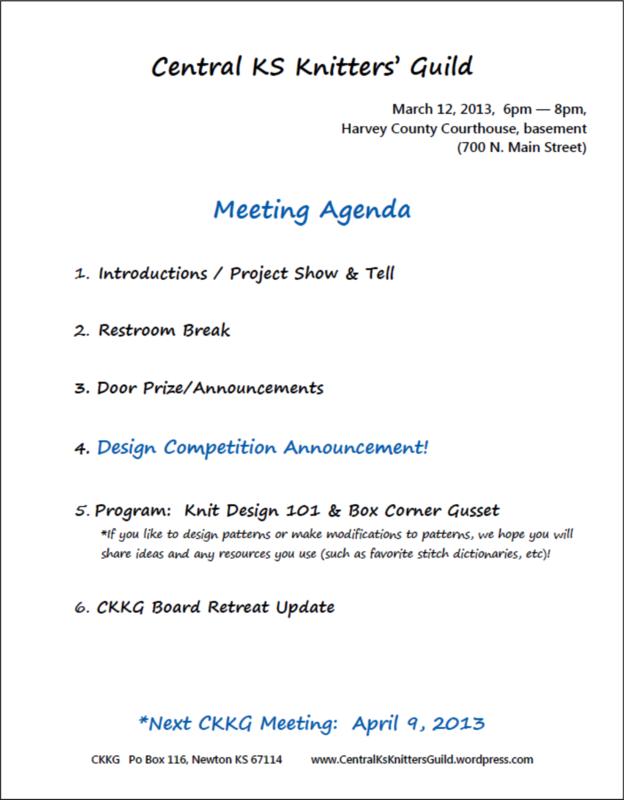 Grab your knitting and a friend and join us for the February Knitting Guild meeting! Tuesday, March 12th from 6-8pm at the Harvey County Courthouse (Newton, Main & 7th streets). *Check our Ravelry page for more information and carpool details. We have an exciting program and will be unveiling our very first Design Competition! This competition is for beginning to advanced knitters, so if you’ve ever wanted to learn how to design (or you’ve been designing for years), here’s your chance! Details will be announced at the meeting and an update will be posted on our Ravelry page the following morning, I promise! Previous Previous post: February Meeting Recap!